If you are competing swing at Texas Classic you have three choices of passes that you will need to purchase in order to compete. First, you need will need to decide which divisions you want to compete and if you want to take workshops. 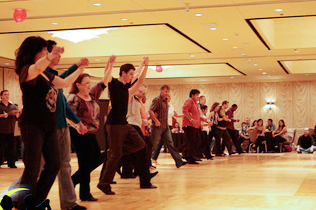 If you are a country competitor and already have a Weekend Gold Pass which covers all of the weekend competitions and all workshops both country and swing. If you want to compete in the WSDC Swing J&J competition you will need a Saturday Evening Pass. SWING REGISTRATION for Pro-Am Swing Hustle & Salsa will close at 10:00 A.M. on Saturday, May 19, 2018. No mailed or faxed registrations should be sent after May 11, 2018. If you have not registered by May 11, you must register online only, with a credit card, or pay at the door with cash or check. If you register in person, on site, it should be by Friday, May 18, between 10:00 A.M. and 6:00 P.M. or by 10:00am on Saturday, May 19, 2018. 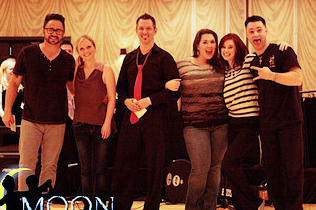 Swing, Hustle & Salsa registration will be closed after 10:00am Saturday. WSDC registration close Saturday, May 19, 2018 at 8:30pm. 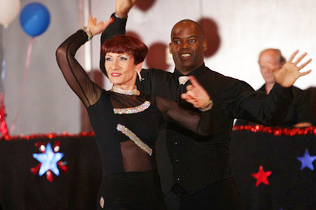 PRO/AM & STRICTLY COMPETITORS MUST BUY AT LEAST A SWING PASS, WHICH INCLUDES ALL SWING WORKSHOPS, FRIDAY & SATURDAY NIGHT DANCING WITH RUBY LAIR, & THE SATURDAY NIGHT SHOW and WSDC COMPETITION! WSDC COMPETITORS (if that is all you are competing in) MUST BUY AT LEAST A SATURDAY EVENING PASS, WHICH INCLUDES THE SHOW, & LATE NIGHT DANCING WITH RUBY LAIR!